Canadians once again voted Toyota as the Most Trusted Brand of passenger car, and the Most Trusted Brand of hybrid car in a recent annual study conducted by Reader’s Digest. Put simply, when Reader’s Digest asked Canadians to name their most trusted passenger car manufacturer, Toyota has been one of the top answers for the past eight consecutive years. 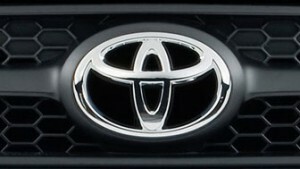 Further, for six consecutive years, Toyota was also called the Most Trusted hybrid car manufacturer. To recognize the remarkable long-term dominance in the study, Reader’s Digest has granted Toyota GOLD winner status. For the study, Reader’s Digest commissioned Ipsos Reid to conduct a nationwide online survey of more than 4,000 Canadians, in order to identify the brands they trust the most. Respondents were asked for their most trusted brand within each of 40 product categories, in an open-ended question format. The Most Trusted Brand awards are just the latest in a series of recent accolades earned by the Japanese automaker. 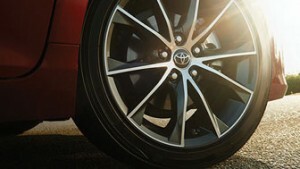 Toyota’s current product lineup also includes Top Safety Pick designations from the Insurance Institute for Highway Safety (IIHS) for leading safety performance, Natural Resources Canada recognition of leading fuel efficiency in various vehicles, and top marks from Automotive Lease Guide (ALG) and Canadian Black Book (CBB) in numerous studies for residual value. All said, when Canadian shoppers are seeking a brand that promises safety, long-term value, efficiency, and trust-worthiness, Toyota delivers. And that’s for both conventional and hybrid-powered models. In fact, with millions of hybrids sold worldwide, no other brand matches Toyota for experience and expertise in designing, engineering and manufacturing hybrid cars and utility vehicles. Toyota’s latest win as a Most Trusted brand for mainstream and hybrid models comes amidst exciting times at Toyota dealers across the country, with a product range that’s constantly evolving, growing, and offering Canadian shoppers more and more value. For instance, the all-new Prius Hybrid is available now, and the Toyota Prius Prime, a premium plug-in hybrid variant, will follow behind it. There’s an all-new Tacoma pickup on sale, and updated variants of the popular RAV4, including the all-new RAV4 Hybrid, and the new Toyota 86, formerly called the Scion FR-S, will also join Toyota’s product lineup soon. The popular Highlander crossover SUV comes into model-year 2017 with a more powerful and efficient engine and transmission, as well as more standard equipment, and the soon-to-launch 2017 Corolla gets new looks, features and value, too. When it comes to trustworthiness, dynamic new products, tremendous value, and one of the most comprehensive product portfolios on the market today, Toyota has Canadians well covered.